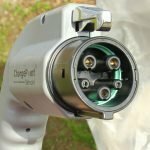 Electric Car Charging Stations are growing at a rapid rate, with different connectors and different types of charger, here’s everything you need to know. 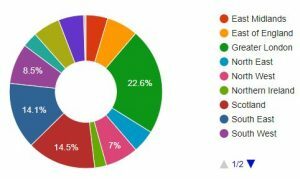 If you are looking for Electric Car Charging locations then you can go straight to our Electric Car Charging Stations Map, otherwise read on. Electric vehicle sales are growing daily and are expected to reach 21 million cars globally by 2030. Electric Car Charging Stations are also increasing in numbers at a staggering rate. There are now over 6700 locations in the UK where you can charge your car. That’s not far off the ~9000 petrol stations dotted around the UK. 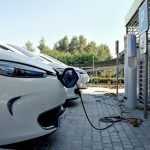 What are Electric Car Charging Stations? A charging station is simply somewhere you can charge your EV. It does not look like a traditional petrol station and is normally just a unit in front of a designated car parking space. For some reason they are often tucked away in the corner of a car park. Some hotels and retail companies (IKEA) have agreements in place with charging station suppliers which means you can charge your vehicle while on a trip, shopping or grabbing a coffee. Charging Stations are owned and operated by various different energy providers. This can be a bit frustrating initially as you will need either a swipe card or an mobile app provided by each individual energy provider in order to use them. The cost of a charge can also vary across providers and the type of charger you are using. We will be writing an article detailing each provider and their costs in the near future so watch this space. Slow Charger 3kW. Takes between 6-8 hours to charge from flat to full. If you use a standard 3 pin socket at home this is what you can expect. Fast Charger 7kW – 22kW. Most public chargers are fast chargers. You can also take advantage of the OLEV Grant and have one installed at home. This will charge you car to full in 3-4 hours. Rapid Charger 43kW – 53kW – These can charge your car up to 80% in 30 mins. It’s important to note that not all electric cars have the ability to rapid charge. There are less rapid chargers available that fast chargers. In addition to the above, some car makers provide access to their own charging networks. Tesla is one of these companies. It’s Superchargers operate at 120kW and can provide up to 170 miles of range in 30 minutes. It also provides “Destination Chargers” which are essentially Fast Chargers and can get Tesla owners 60 miles range in an hours charge. 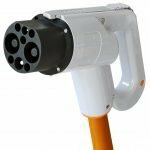 How Many Electric Car Chargers are there? 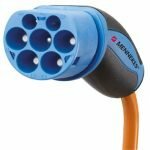 There has yet to be an agreed “standard” connector to use for electric vehicles, as such there are a number of different charge connectors used by different vehicle manufacturers. In reality this shouldn’t cause you an issue, you really only need to know what connector(s) your car can accept and then choose a compatible charger. It’s easier than it sounds as you can use an app to find nearby chargers and the type of connectors used. The Types of connectors are as follows. 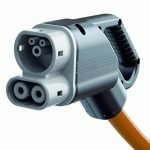 You can find more information on what cars use which connector on our Electric Car Charge Connectors page. As mentioned above prices are not always consistent, in some cases you can even charge your car for free, that’s before looking at your specific vehicle, so it is difficult to say exactly how much it would cost to charge your vehicle. You can use our Electric Car Charging Cost Calculator for a more accurate result and how much you could save versus a petrol or diesel vehicle.